Most people would agree if I said the annual appraisal process is nothing more than a formality and a ritual which must be performed in continuing with tradition. However, a leading textile manufacturing firm I visited recently was ‘celebrating’ its annual appraisal week. From the front reception to the ‘top floors’ posters were put up announcing this special week. When to most employees the annual appraisal is nothing more than a necessary nuisance they would avoid had HR spared them, this was a pleasant surprise and of course, very impressive. Administrative formalities apart, to many the process of giving and taking feedback makes appraisals particularly tough. While reviewing an average or above average performer might not seem difficult, I wouldn’t be wrong if I said reviewing an under-performing employee is not easy. Dealing with the rationalization, blame shifting, apologizing and denying is definitely not easy – it’s something one would rather avoid. Lack of proper training and awareness on how to effectively administer the process only adds to these woes. So how does one make it easier on oneself? While it may sound cliched, the first step is to ‘Be Prepared’. Preparation involves putting together a list of points one wants to bring up in the discussion including performance highs and lows, key behavior traits required to be addressed and even deciding when and where to have the discussion. Before heading to the discussion, it would help to ensure one has a small meeting room blocked for the sufficient duration. Difficult conversations are better had sitting adjacent to someone rather than across a large conference table. Ensure there is confidentiality for discussion and the room does not create distractions. It would even help to think through or practice the opening of the discussion and presentation of the key points. It is equally important to decide if you have to leave the room with dissipated energies or in a reflective and collaborative position to handle the now and future more proactively and productively. One should aim to open the discussion with and stress on the positive aspects. That being said, it is equally important to not avoid the negative ones. Using clear, non-judgmental language that focuses on result and behavior, rather than on personality, culture and background helps keep the discussion non-confrontational. One should give due credit where it is due but also not shy away from the real issues. Its best to address the performance problem, reinforce performance standards and then aim to focus on the action steps for the future rather than dwelling on or defending past performance. Efforts should be made to ensure it is more of a dialogue rather than a monologue with the other party being allowed to openly express views. The appraiser or manager has to facilitate the discussion, listen more and let the employee or appraise evolve his thoughts and actions moving forward. One should acknowledge that it’s okay to be angry, upset or even disagree with what is being said. However, it goes without saying that should emotions run high or the discussion go out of hand, one should not hesitate to ‘step back’ or maybe even take a break. Efforts should be made to ensure that one always closes the discussion on a positive note. 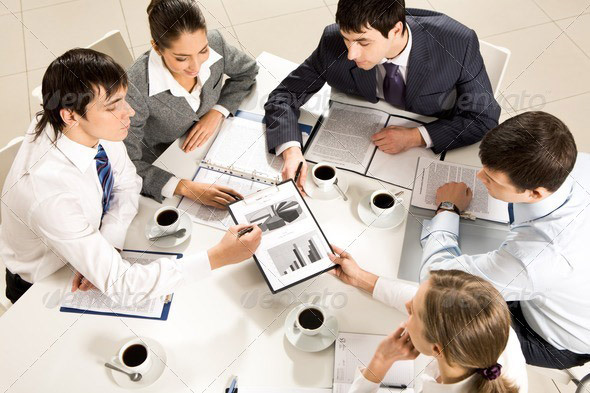 Expressing confidence on the potential of the appraise and offering help and support to work together on building a development plan are some ways to ensure the discussion ends on a high note leaving the employee motivated and energized. While very few people would agree that the benefits of a good appraisal discussion far outweigh the time spent in its administration, the truth is that this one conversation, if done well, will take you a long way in retaining and motivating your employees. There are structured frameworks which many organizations have institutionalized and the effort has only enriched their culture and performance. Good luck for your next review!